Budgeting and saving money can be tough, and while we wouldn’t advocate skimping on the quality of your meat it makes sense to save money when and where you can. Abel James, better known as the Fat Burning Man, provides a handful of great tips for saving money when deciding what type and what cuts of meat to buy. We recently featured episode 55 of The Tim Ferriss Show, ‘The Science of Strength and Simplicity with Pavel Tsatsouline’. 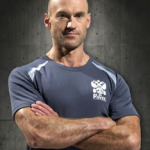 Perhaps the most in-depth interview with Pavel, master of the kettlebell and strength training. We’re featuring him again because in episode 57 Tim provided us with a follow-up episode where Pavel answered 15 questions from listeners. Anything Pavel touches is gold, so you’d be well advised to listen in… comrade. With the weather still cold it’s certainly the time to tuck into warm comfort foods like soup, stew and broth. 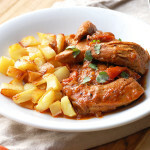 Rebecca Bohl of Paleo Grubs, has posted a delicious recipe for ‘Chicken Paprikash’. A spicy chicken dish that will both warm and fill you up – the perfect antidote to an icy winter evening.